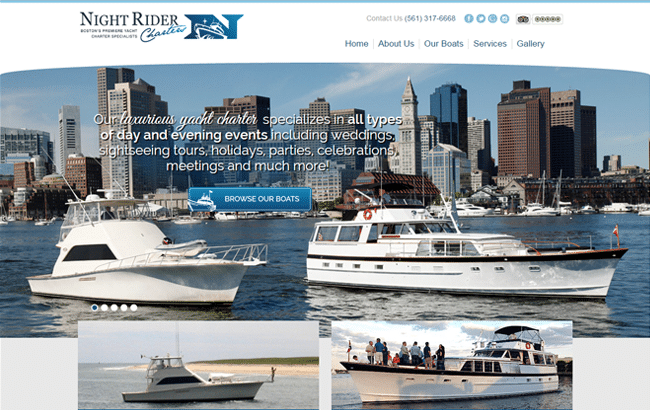 Night Rider Charters is Boston's premiere Yacht charter specialists with frequent inner and outer harbor tours. GoingClear was happy to present an unique home page design that offers visitors an immediate look at what they can be cruising around the harbor in! 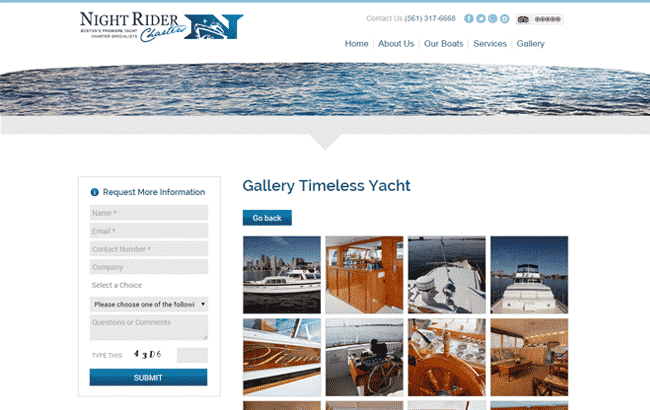 Other features include a Request More Information sidebar that is readily seen throughout the site, high res photography and an awesome photo gallery. 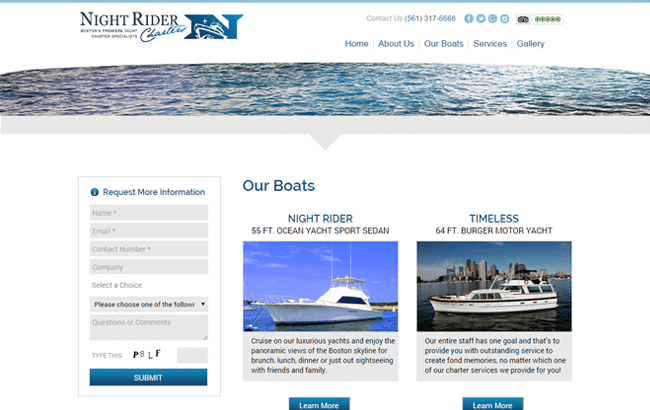 The new Night Rider Charters website was built using a Content Management System (CMS), and is Fully Responsive Mobile & Tablet friendly so it will display well on any device.